A$AP Rocky was reportedly rushed by an unidentified man early Sunday morning during a private concert in Los Angeles, according to TMZ. Rocky was joined by Kendrick Lamar for a pre-BET Awards bash at 1 OAK. 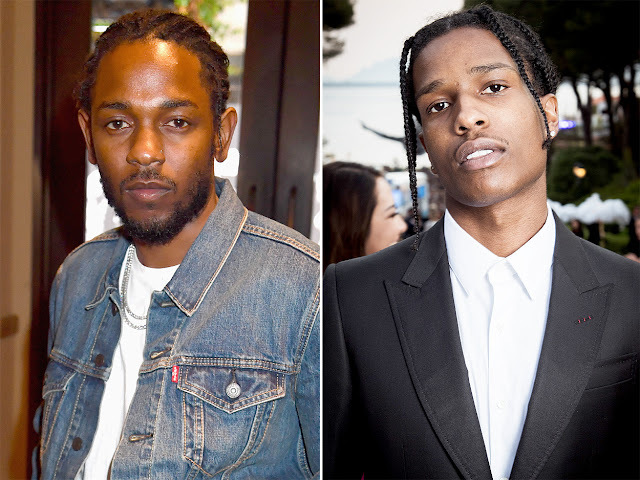 The two rappers were performing at the event and video obtained by TMZ shows Rocky grinning on stage while Lamar gave him a birthday shout-out. According to TMZ, Rocky was rushed by the alleged attacker after the shout-out. While the video obtained by TMZ doesn’t show the alleged attack, it does show the packed crowd — which included celebrities like Lana del Rey and G Eazy — rushing around the stage while Lamar says “stop the f—-ing violence” after the alleged incident. Rocky can be seen walking through the crowd with security. According to TMZ, law enforcement sources said they responded to an incident at the club at 1:57 a.m. but by the time they had showed up the alleged attacker had already left. TMZ also claims that the club’s security said it was only a verbal exchange, not a physical fight. This is the second incident between rappers in the lead up to the BET Awards on Sunday. Rapper Safaree, who dated Nicki Minaj until 2014, claimed that he was attacked by Meek Mill’s crew outside a pre-award show party on Friday. Mill, who also attended the event, denied any involvement, telling TMZ that he “ain’t got no beef” with Safaree.